A bad fall can cause quite serious physical injuries. 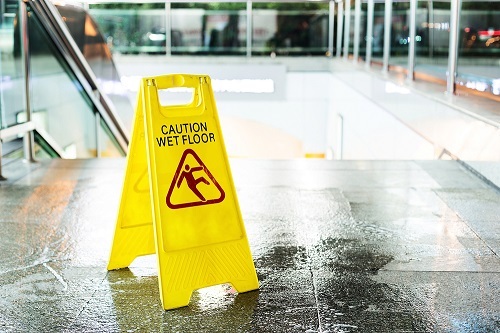 The experienced lawyers at Kirtland & Packard can determine if someone else's negligence led to your fall, and if that person can be held accountable for injuries caused by unsafe premises. For a free case evaluation with our experienced lawyers in Redondo Beach, please call us at 310-536-1000. If you are not sure whether your incident qualifies for a claim, we urge you to call our law firm as soon as possible. We will review your case for free to determine what your options are for pursuing compensation. Where Did Your Fall Occur? Slip and fall claims hinge on liability. Was your slip simply an unfortunate accident or is someone responsible for creating the conditions that led to it? Our attorneys know how to determine if a property owner, leaser or other party ought to be held accountable for negligence leading to your injury. The experienced attorneys at our law firm can determine if someone should be held responsible for your injuries. Wondering if you have a slip and fall claim? If you live in South Bay, Torrance, or any of the surrounding areas, please call Kirtland & Packard for a free case evaluation at 310-536-1000.